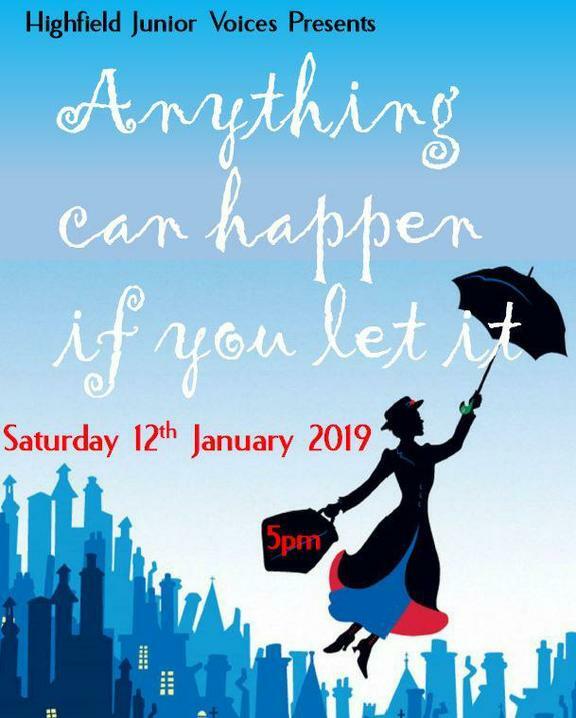 On Saturday 12th January, the Highfield Junior Voices performed in the ‘Anything can happen if you let it’ concert at Langley Park School for Boys. They started off with a Chim Chim Cheree prologue and some extraordinary narrating by Emma who began telling the story of Mary Poppins. Several other Year 6 children were also narrators and they were: Harry, Joe, Bea, Daisy, Emily, Eimear, Vishalini, Jess, Mia and Isabella. Chim Chim Cheree was followed by many more enthusiastically performed songs from the musical. Not only by the whole choir, but just the Chamberettes (Stay Awake) and just the Chamber Choir (Chim Chim Cheree). After the show, Catherine Andrews (our Choir Director) thanked everyone who supported the production of the show and all the chaperones. She also delivered a speech about how inspirational the children in the choir are. After that, our new Headteacher, Mrs Morris, complimented the choir and said how proud she was of them and how it was a fantastic end to her first week at school. To finish off, there was an encore of Let’s go fly a kite.